The Las Vegas Strip has some of the world's largest casinos. From the glowing neon of Las Vegas or Reno to the serene beauty of the Sierra Nevadas and the Mojave Desert, Nevada has something to offer every retiree. Former mining towns serve as hot retirement spots off the beaten path, while the state's bustling resort towns provide world-class gambling, restaurants and entertainment options. If you're looking to spend your golden years in the Silver State, compare Nevada's retirement living options to find a spot that suits your budget and provides your desired lifestyle. Understanding the various taxes you'll pay as a retiree in Nevada can help you better budget your retirement savings. In 2012, Kiplinger named Nevada one of the top 10 tax-friendly states for retirees. It is one of just seven states with no state income tax, which can help you keep more money in your pocket, especially if you plan to work during retirement. Nevada also has no inheritance or estate taxes. Through July 2013, the state sales tax is set at 6.85 percent. After that, it drops to 6.5 percent. Many cities and counties also tack on their own sales tax, resulting in an average rate of 7.93 percent statewide according to the "Las Vegas Review-Journal." Property taxes are assessed at 35 percent of the home's fair market value, and senior's don't receive the homestead exemptions or other property tax breaks they may enjoy in other states. 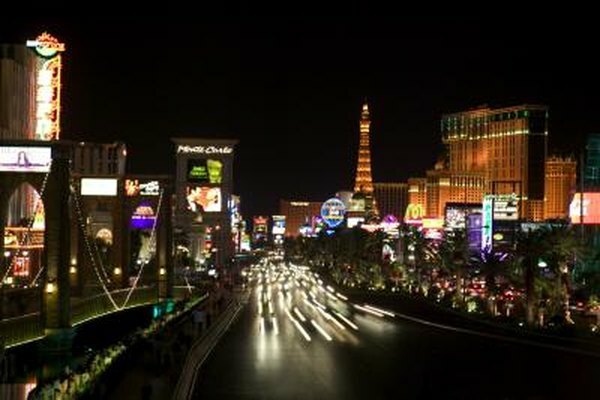 Sperling's Best Places rates the cost of living in Nevada at 95 out of 100, which means that it's about 5 percent cheaper to live in Nevada than in the average U.S. state. Median housing prices in Nevada were $120,400, as of 2011, down from $205,300 in 2008, according to the Progressive Policy Institute. In the state's largest city, Las Vegas, the median housing price was $147,000 in 2012. In Reno, median housing prices are slightly higher, at $165,000. For retirees looking to skip the hustle and bustle of Las Vegas and Reno, SmartMoney.com offers a number of small-town suggestions. Mesquite is a retiree mecca, with nearly half the population made up of retirees. This small town sits just an hour from Vegas and boasts seven golf courses and had a median home price of $186,800, as of 2012. For big city arts and culture without the gambling, retirees can check out Henderson, which is near Lake Mead and had median home prices of $258,000. Carson City, the state capital, sits between the resort towns of Reno and Lake Tahoe, and offered a median housing price of $245,200. The tiny town of Elko offers peace and quiet in the state's remote western region. The median home price in this town was $135,600. Residents have easy access to the nearby Ruby Mountains. Nevada's 2.7 million residents make up less than 1 percent of the U.S. population, making it one of the most sparsely populated states. A full 12.5 percent of residents are age 65 or older, while about one-quarter of the population is under the age of 18. While the climate varies throughout the state, it is generally best described as sunny and dry. Temperatures can easily vary by 30 to 55 degrees from day to night, and in the southern desert region, average highs can soar above 100 degrees in the summer. Nevada averages just 7.5 inches of rain each year, making it the driest state in the U.S.